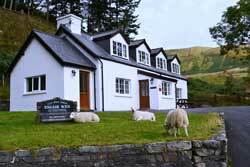 delightful self catering accommodation in Wales. 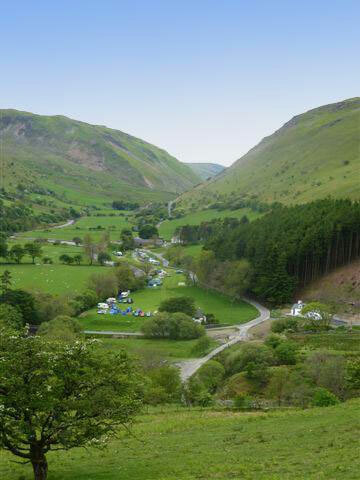 Welcome to our Self Catering Cottage and Camp Site, between the Elan Valley and Devil's Bridge, within the Cambrian Mountains. Natural history, sightseeing, walking, mountain biking, bird watching, star gazing, fishing, canoeing or cultural activities - you will enjoy a warm welcome, the interesting wildlife and the stunning historical landscape around our self catering cottage in Mid Wales. Relax and unwind in this enchanting 4 bedroomed cottage, beautifully situated over looking the stunning landscape of the Ystwyth Valley. Located between the Elan Valley (an International Dark Sky Park) near Rhayader, and Devil's Bridge, Esgair Wen sleeps 6 people and is well equipped to accommodate guests who enjoy all country pursuits, outdoor activities or those who wish to relax in quality accommodation. 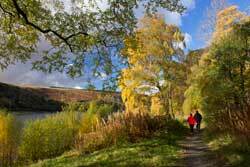 It is also within 30 minutes drive of the town of Aberystwyth and the beautiful beaches of the Cardigan Bay coastline. What ever your interests - natural history, sightseeing, walking, mountain biking, bird watching, fishing, canoeing or cultural activities, you will enjoy the warm and friendly welcome, in a peaceful and relaxing ambience with a great sense of place.